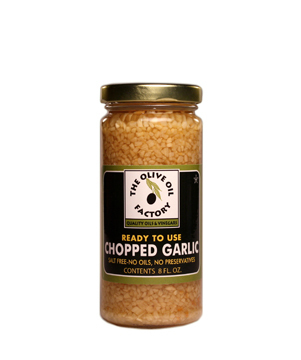 The Olive Oil Factory's Chopped Garlic, ready to use. Everyone should keep a jar of this savory favorite at their fingertips. Essential for speedy dinner preparations or for the perfect garlic bread.